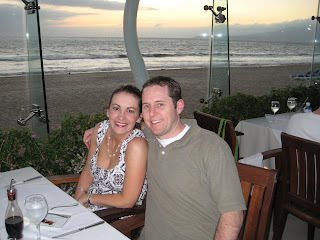 After being in California for 4 days, we headed off to Mexico with my best good friend and her hubby. 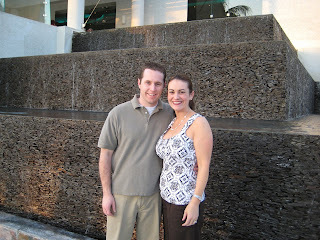 We left Julianne in the loving care of my parents and headed out for 5 glorious nights south of the border! 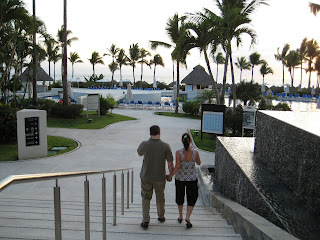 We went to Puerto Vallarta and we had a wonderful time. I'm not going to lie, I missed our girl and it was hard being away from her for that many nights. Up until this, I had only done 2 nights. I'm with her 99% of the time so it's weird being away. It was a good way for me to get rested and revitalized though as well as spend some much needed time with the hubby and our best good friends. I have way to many pictures for one post so I'm going to break it down into a few because I don't have 3 hours to sit here while blogger uploads my photos. I'll start with Day one. 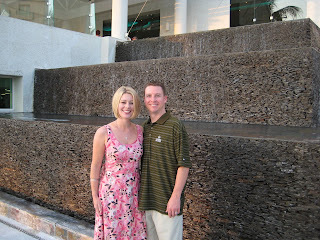 After dinner it was pretty late and we headed to the bar/club at our resort for a bit. It was karaoke night though so we didn't stay long. Seriously. BAD. We had an early night as we were all pretty tired from our journey. I'm glad we got a good night's sleep because the next day we did something that we needed a lot of energy for - one of the most fun things I've ever done. More to come on that later!